An oldie, but goodie. Merry Christmas, everyone! 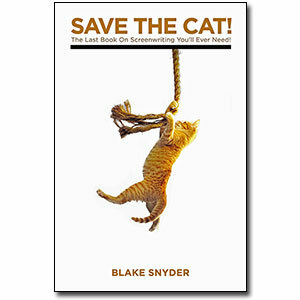 When I began editing my manuscript, a friend of mine put me in touch with Blake Snyder’s screenwriting book, SAVE THE CAT: The Last Book on Screenwriting that You’ll Ever Need. In it, Snyder details the 15 beats of the three-act structure essential to any successful plot. Since reading the book, it’s been difficult for me not to analyze every movie I see or book I read in terms of this structure, and I now “beat out” all my plots to make sure my stories are going somewhere. 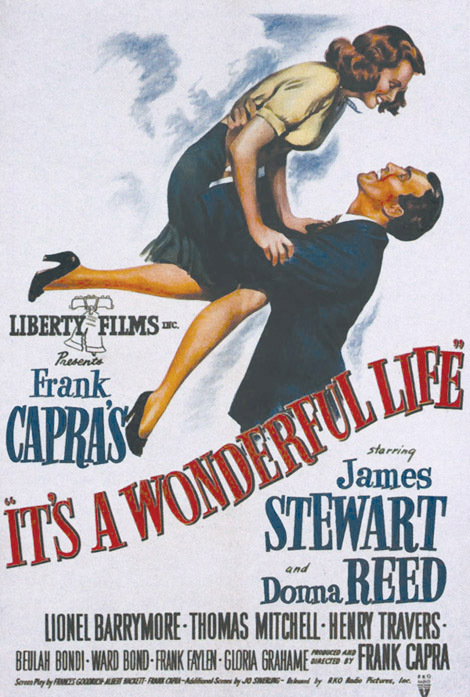 Being that it’s Christmas week, being that I saw some of my former students over the weekend, and being that I just watched what—IMHO—is the greatest movie of all time, I thought I’d nerd it up a bit and beat out Frank Capra’s It’s A Wonderful Life. And I do believe this may become somewhat of a regular feature, here on the blog. 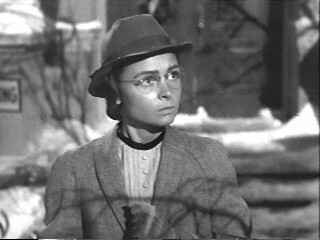 The movie opens with a view of a snowy Bedford Falls on Christmas Eve and the voiceovers of many people asking for prayers for the movie’s hero, George Bailey. Two angels discuss the fact that they’re going to need to send someone down to keep George from throwing away “God’s greatest gift”—life—and they call upon George’s guardian angel, Clarence Oddbody, who hasn’t yet earned his wings. The theme occurs when George discusses his future with his father. Peter Bailey wants George to take stay on at the Bailey Building and Loan (the family business), and George wants to go to college—go exploring—travel—build things—do something important. George doesn’t quite agree or understand this at the moment, and his journey to discovering it is what the movie is about. 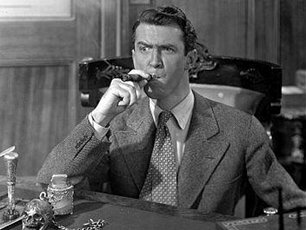 After the graduation, his father suffers a stroke and subsequently dies, so George postpones college to sort out things with the Bailey Building and Loan. He is about to leave for school when the board of directors say that they will only keep the institution alive if George stays on to run things. 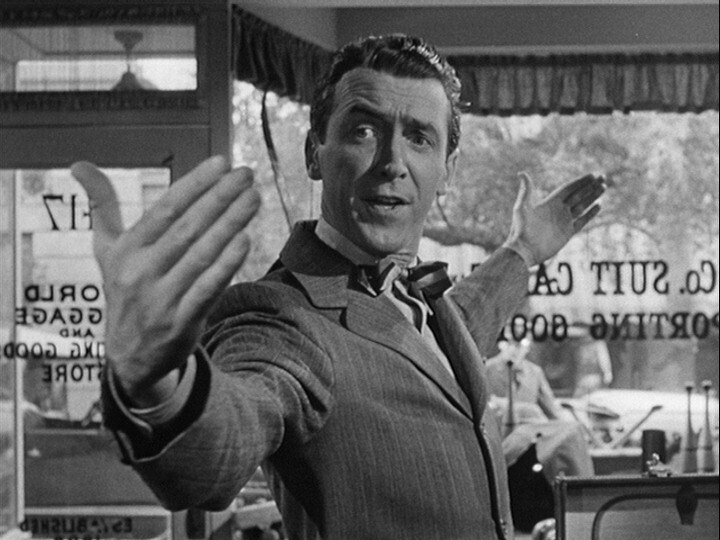 George gives his college money to his brother Harry and holds down the fort in Bedford Falls. The deal is, Harry is supposed to come back from college and take over so George can finally live his life, but the younger Bailey boy comes back with a wife—and a job offer from her father. George’s mother suggests he visit Mary Hatch—that she has all the answers for him. 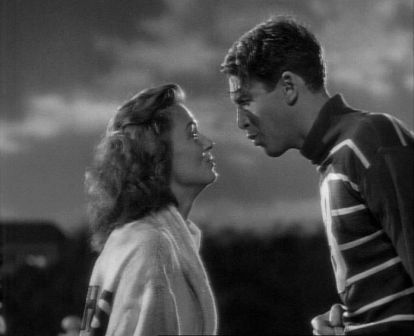 He procrastinates for a bit and is gruff when he finally goes to see her because settling down with Mary means staying in Bedford Falls and never getting to fulfill his dreams. George succumbs to his love for Mary as they both talk on the same phone to his childhood friend and Mary’s sort-of boyfriend, Sam Wainwright, who is successful and living in New York and has offered George a job. This is the love story between George and Mary and the kind of life they lead. George’s brother Harry and his friend Sam have success, but he loves Mary and the two of them build a quaint little life in Bedford Falls. Within Act II, George and Mary get married. They’re about to embark on their honeymoon—on a trip to Europe and many of the countries to which George has always wanted to go. On the way to their honeymoon, they notice a commotion outside the bank, and George discovers a bank run. Potter takes over the bank, and Mary helps George save the Building and Loan by using their honeymoon money to tide over their shareholders until the bank reopens. As well, after the war, when George has proven himself a threat to Potter because his is the only business in town the old man can’t control, Potter offers him a job. For a second, George considers the generous salary Potter has offered him and what it will do for his family, but when they shake hands, George realizes this is a deal with the devil, and refuses—and thus makes an even worse enemy of the powerful man. On Christmas Eve, George’s business partner, his uncle Billy, misplaces an $8000 Building and Loan deposit—he accidentally folds it into a newspaper, bearing the headline about Harry Bailey winning the Congressional Medal of Honor, that he waved under Potter’s nose. 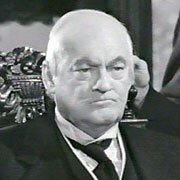 Potter realizes Uncle Billy’s error, but instead of returning the money, he keeps it. When Uncle Billy tells George he lost the money, they retrace his steps—only to find nothing. George returns home and snaps at Mary and the kids. He kicks over a table with a model bridge on it—a reminder of his forgotten dreams of traveling and building things—and he realizes he has hit rock bottom when he turns to his stunned family. Realizing there is no alternative to replacing the money, George goes to Potter and grovels, offering him a $15,000 life insurance policy with $500 equity in it, but Potter mocks him. George goes to Martini’s bar. When the husband of his daughter’s teacher (whom George berated on the phone) slugs him in the jaw, George leaves the bar and contemplates suicide on a snowy bridge. His guardian angel, Clarence, appears and takes George on a reverse Christmas Carol journey, showing him how much worse off his friends and family would have been had George never been born. Apparently, George never being born means Mary’s eyes go bad. George discovers Mary is an old maid, and practically the whole town chases him away from her—Bert the cop even shoots at him—and George flees back to his spot on the bridge to find Clarence. Clarence reverses the spell and George, ecstatic to be alive—no matter what the state of his affairs—runs through the streets. Mary has enlisted the town’s help for her husband, and everyone comes to their aid, donating money to the man who has touched all their lives. Remember no man is a failure who has friends. Thanks for the wings!